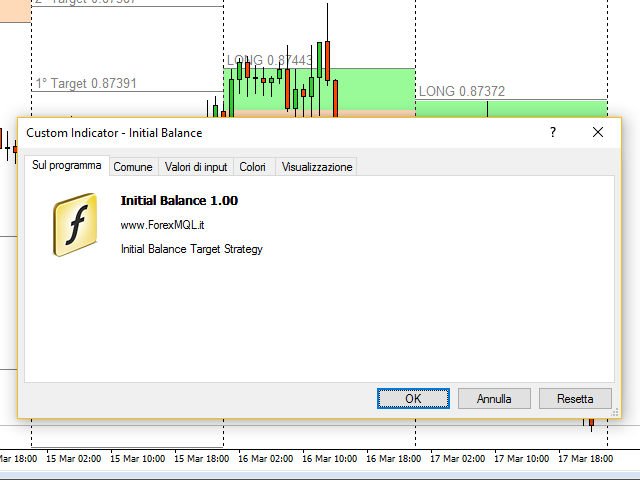 Initial Balance Target Strategy is an indicator based on Fibonacci Levels. 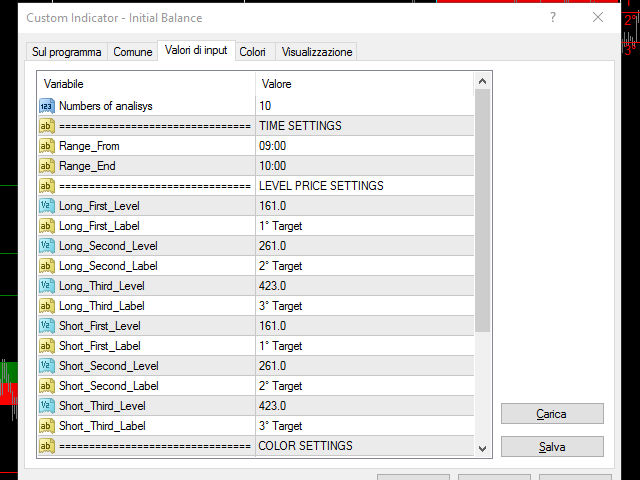 Its graphics flexibility allows you to adapt very well to your strategies or Trading System setting it with levels in input. 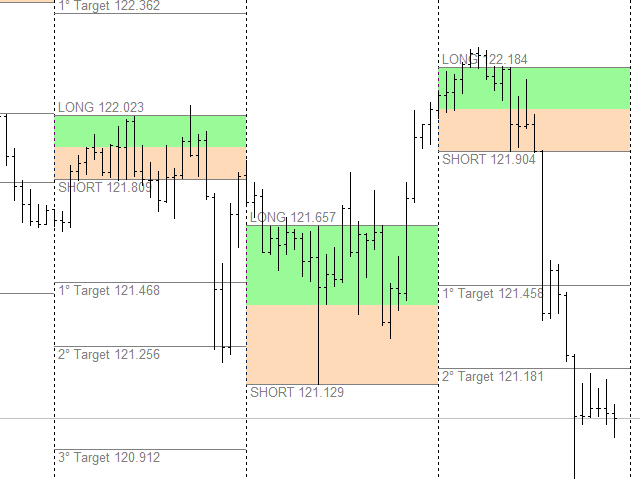 The analysis of the time range allows replication of strategies as London Breakout and Kiss. 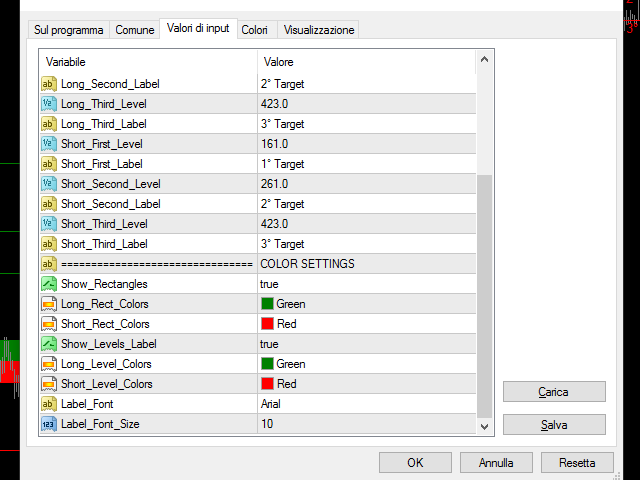 The indicator is fully customizable, you can change colors, texts and percentages of Target. The simplicity and manageability of this indicator makes it an useful tool for all Intraday Trader. Defect correct on time selection.